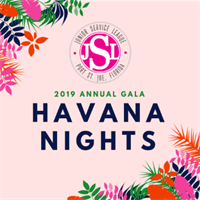 The Junior Serivce League of Port St Joe will be hosting their Annual Gala on April 27, 2019! In honor of this celebration we invite you to join us in cruising to this beautiful Caribbean destination! This exclusive opportunity comes with a 30% discount off the original cruise rate and a "Passport to Savings" coupon book with over $350 in savings!